Newcastle University is a leading research intensive university located in Newcastle upon Tyne in the north-east of England. It was established as a School of Medicine and Surgery in 1834 and became the University of Newcastle upon Tyne by an Act of Parliament in August 1963. 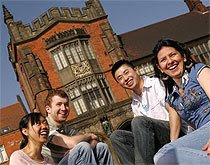 Newcastle University is a member of the Russell Group, an association of leading research-intensive UK universities. The University has one of the largest EU research portfolios in the UK. The University has its origins in the School of Medicine and Surgery which was established in Newcastle upon Tyne in October 1834, providing basic lectures and practical demonstrations to around 26 students. In June 1851, following a dispute amongst the teaching staff, the School was split into two rival institutions: the majority forming the Newcastle College of Medicine, with the others establishing themselves as the Newcastle upon Tyne College of Medicine and Practical Science. 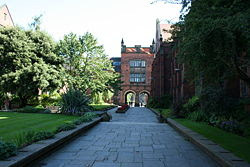 By 1852 the majority college was formally linked to the University of Durham and its teaching certificates were recognised by the University of London for graduation in medicine. The two colleges amalgamated in 1857 and renamed the University of Durham College of Medicine in 1870. Throughout the early 20th century, the medical and science colleges vastly outpaced the growth of their Durham counterparts and a Royal Commission in 1934 recommended the merger of the two colleges to form King's College, Durham. 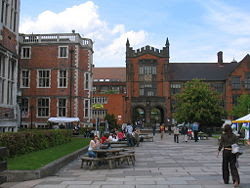 Growth of the Newcastle Division of the federal Durham University led to tensions within the structure and in 1963 an Act of Parliament separated the two, creating the University of Newcastle upon Tyne. The University has also been actively involved with some of the region's museums for many years, the currently-being renovated Hancock Museum is one such example. Teaching schools within the University are based within three faculties. Each faculty is lead by a Provost/Pro-vice chancellor and a team of Deans with specific responsibilities. Today's University is a forward-looking, dynamic community of more than 18,000 students and 4,500 staff. As one of the UK's leading universities, our reputation rests on the quality of our teaching - both for undergraduates and postgraduates, our outstanding research, and our work with the regional and local community, businesses and industry. This is underpinned by our mission to play a leading role in our city and region. The next two years will see extensive development of the Haymarket-facing perimeter of the University's main campus. 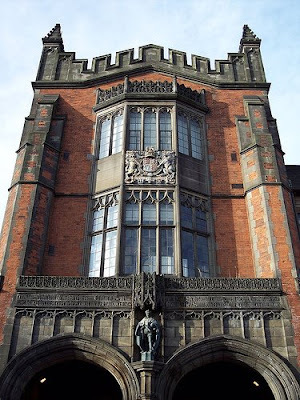 Newcastle University can trace its origins to a School of Medicine and Surgery, established in Newcastle in 1834. Learn more about the history of Newcastle. Throughout the history of the University we have benefited from the generous support of Alumni, individuals, charitable trusts and companies. Find out more about the University, its structure and principal officers. The university won the Sunday Times University of the Year award in 2000 and is ranked 9th best in the UK by the Webometrics Ranking of World Universities in 2007. The majority of undergraduate subjects were also ranked in the top 10 or top 20 in the Times Good University Guide 2008 and all of its subjects are awarded at least 20 points out of 24 by the Quality Assurance Agency. 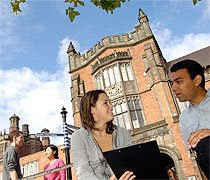 The University is also ranked highly for its research, and in the publication Research Fortnight Newcastle University was named as fifth best in the UK for its research carried out across departments in 2007. It was also been named the second friendliest university by the Friends Reunited website in 2006. The University Library is the only one in the UK to have been awarded the government's Charter Mark for excellent customer services five times in a row. The University has one of the best track records for graduate employment in the country, and the Careers Service has won seven prestigious national careers awards in recent years by the Institute of Career Guidance.